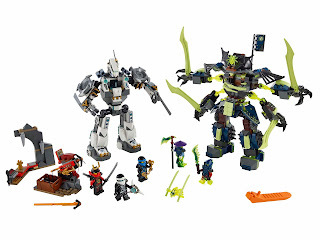 come with a zane’s titan mech and a mech enstein. 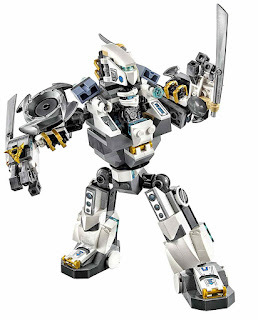 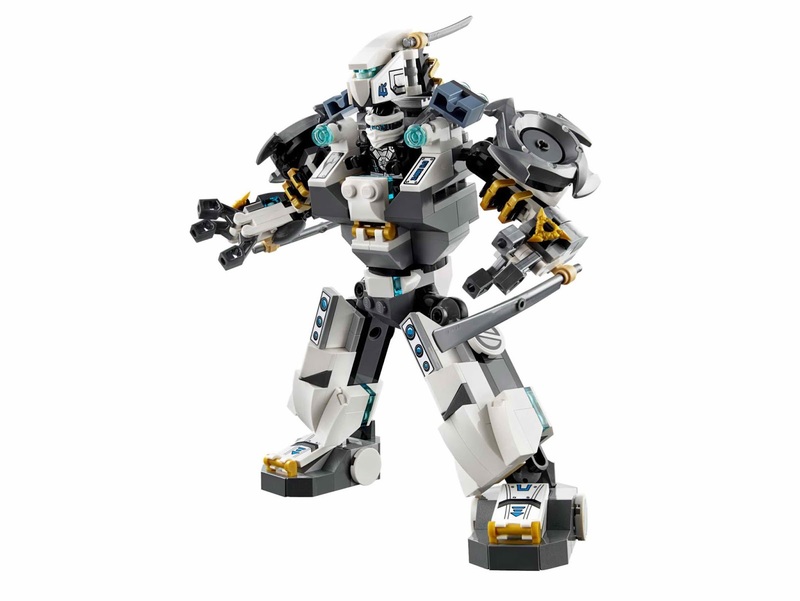 the zane’s titan mech has an openable cockpit, posable arms with titanium style swords, posable legs and feet, a rotatable torso, rotatable shoulder blades, a rocket booster backpack and 2 stud shooters. 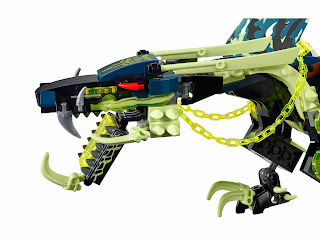 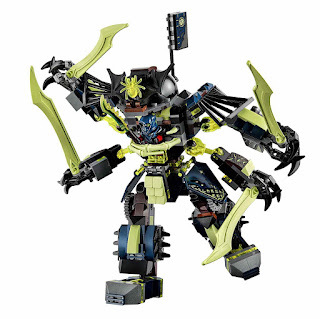 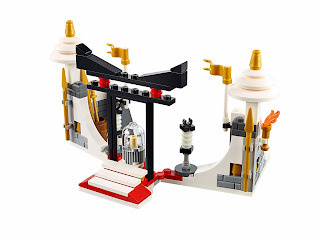 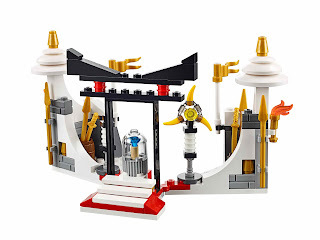 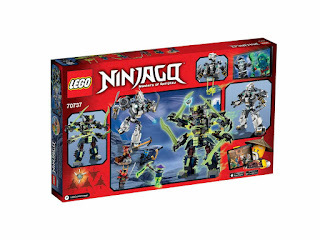 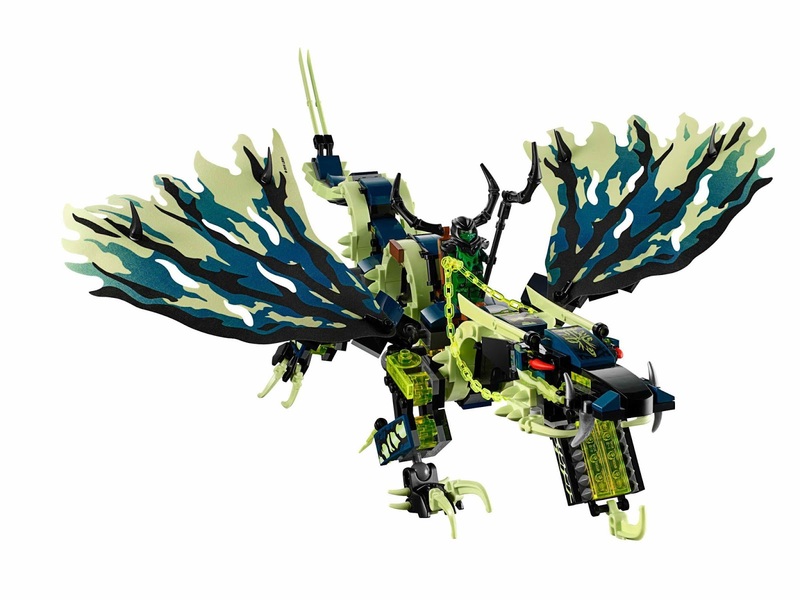 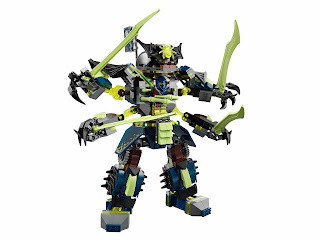 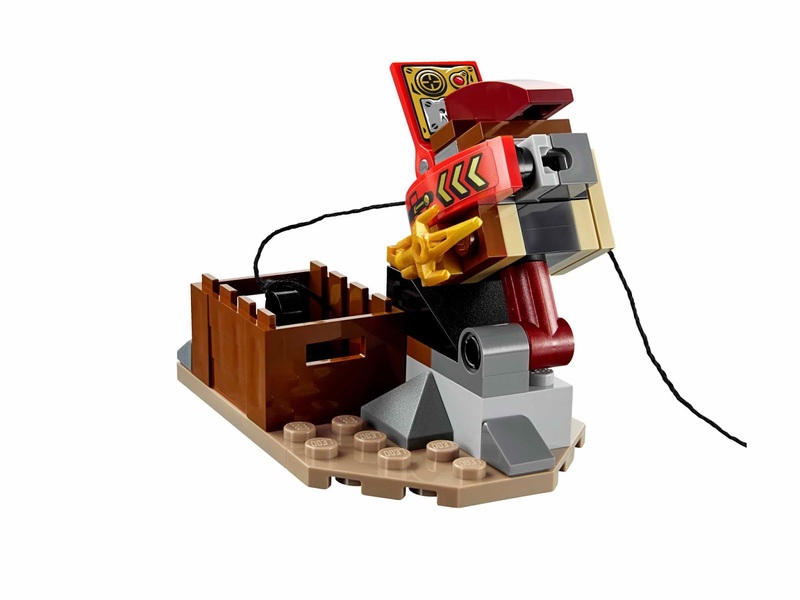 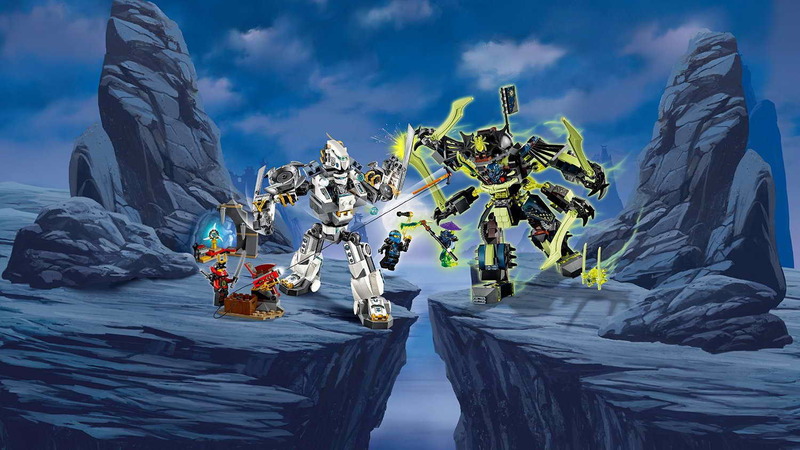 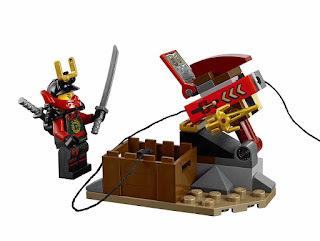 the mech enstein has an openable head or cockpit, an adjustable shoulder armor, adjustable ghost bones to hold a minifigure, 4 posable arms with big ghost swords, a rotatable torso, posable legs and feet, dual jet booster pack. 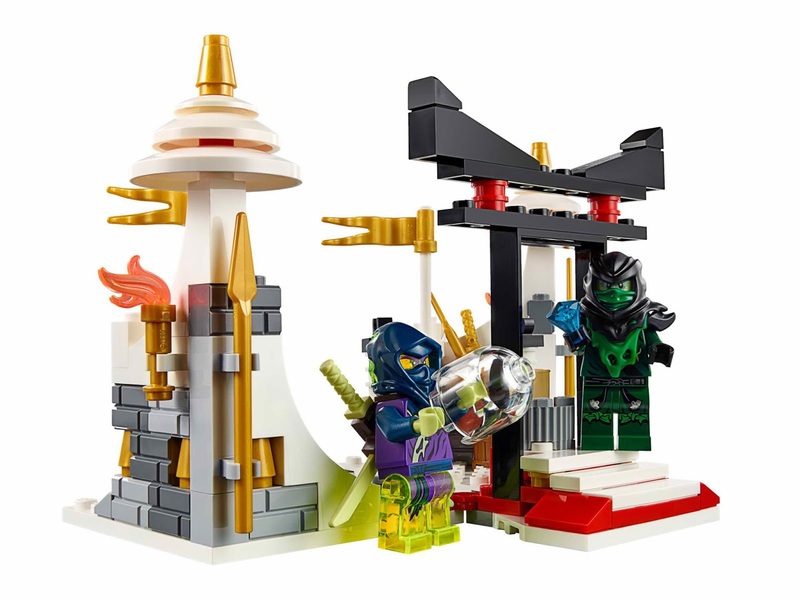 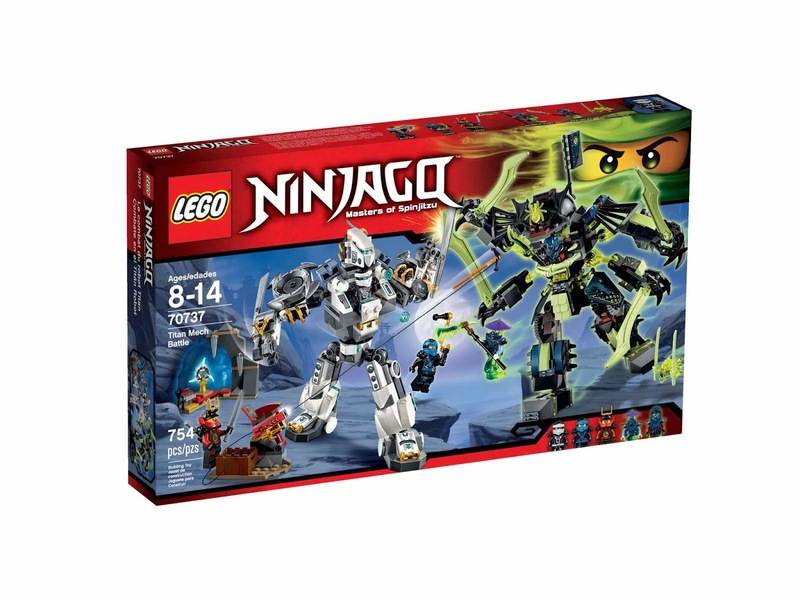 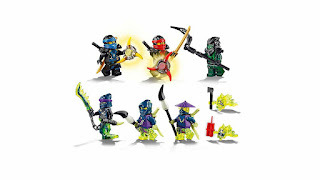 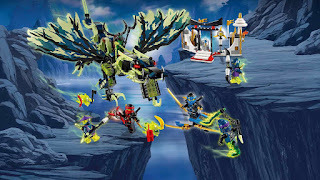 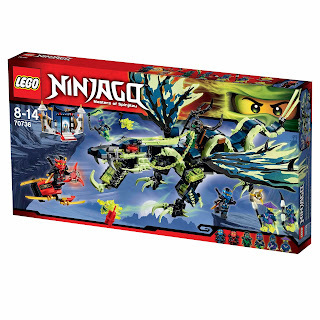 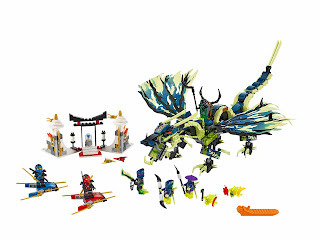 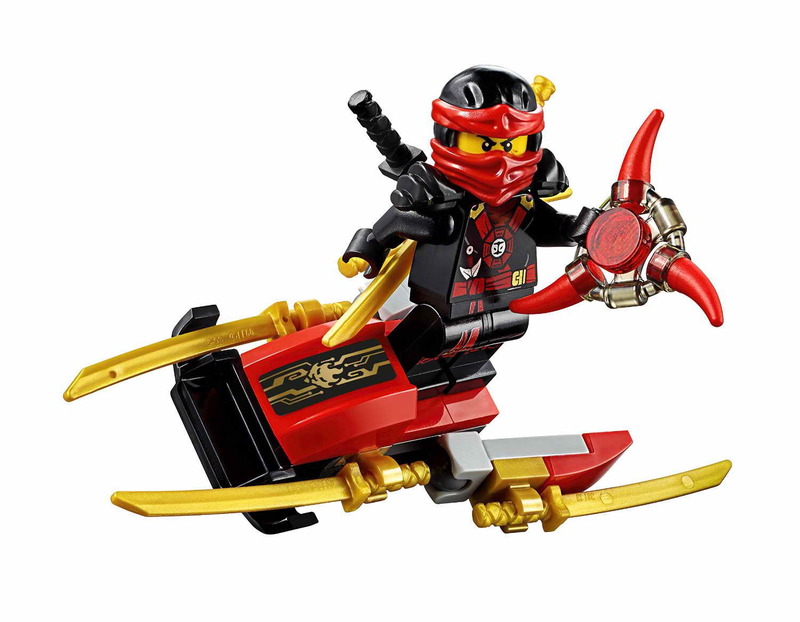 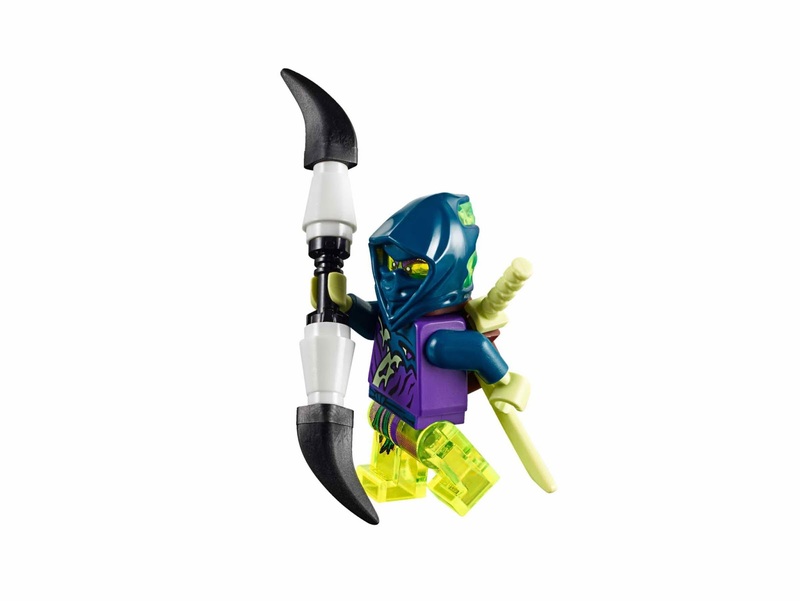 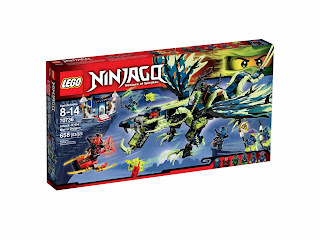 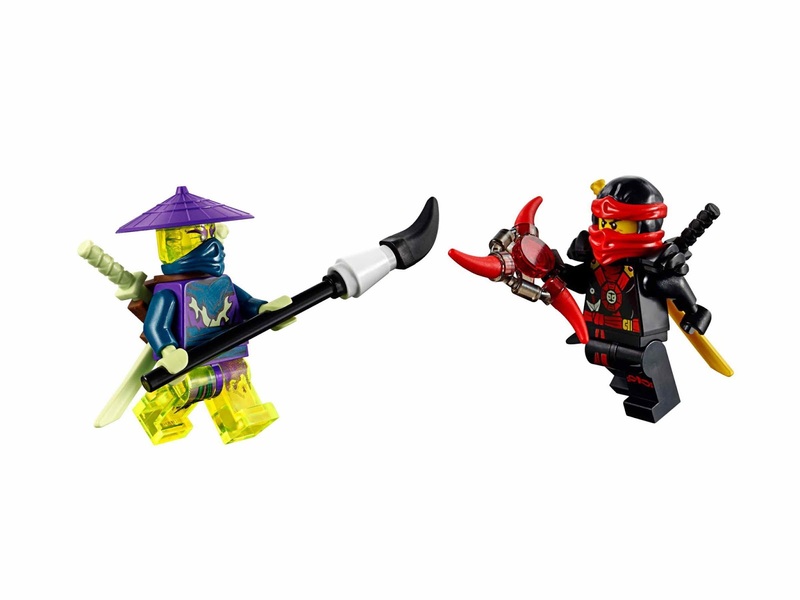 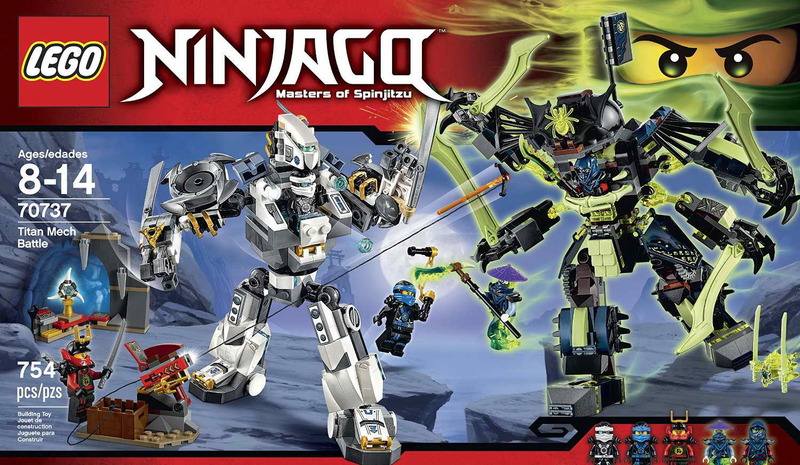 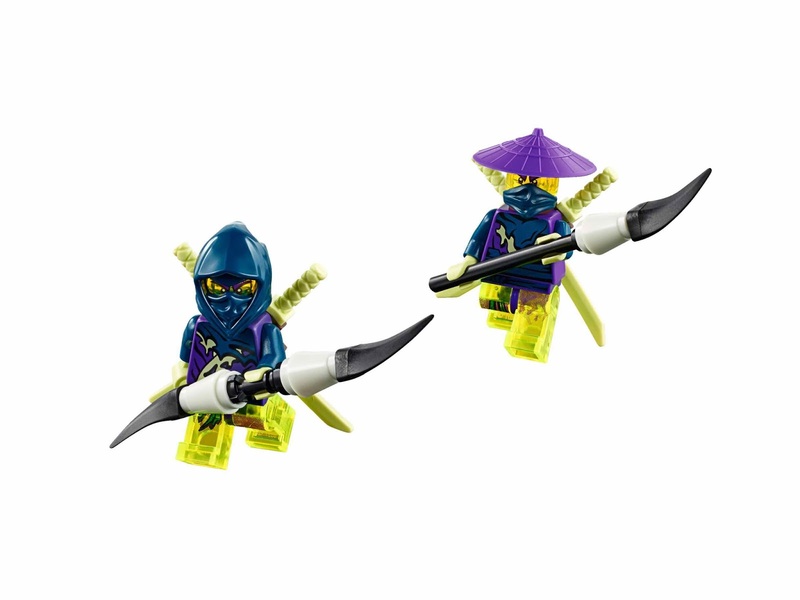 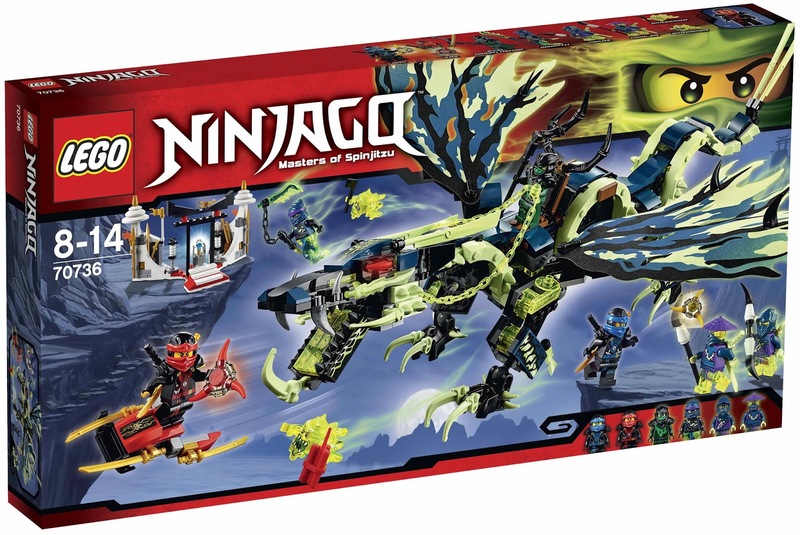 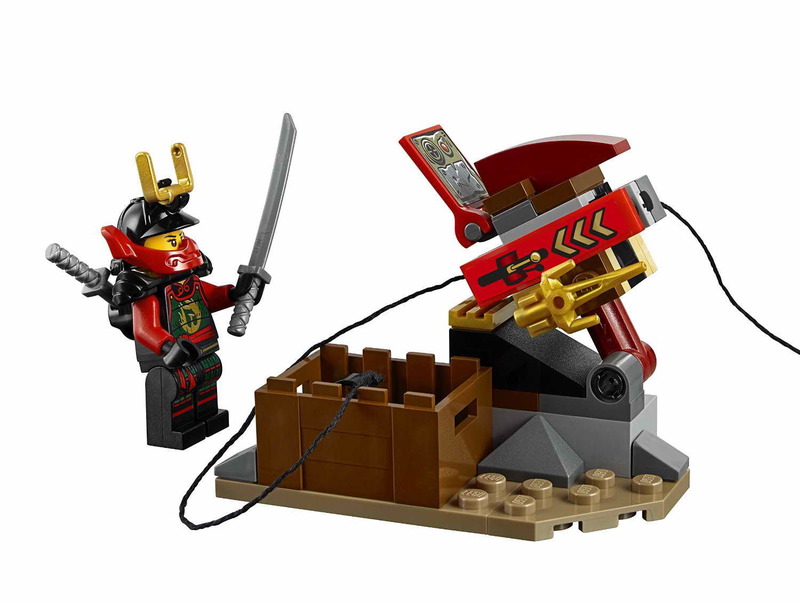 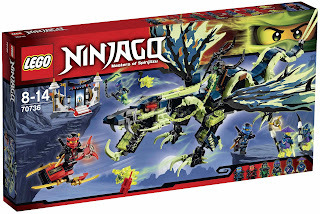 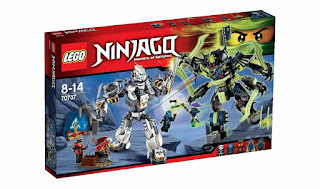 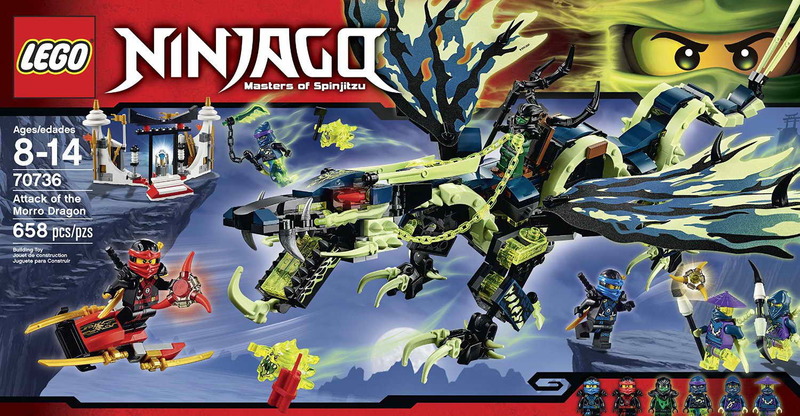 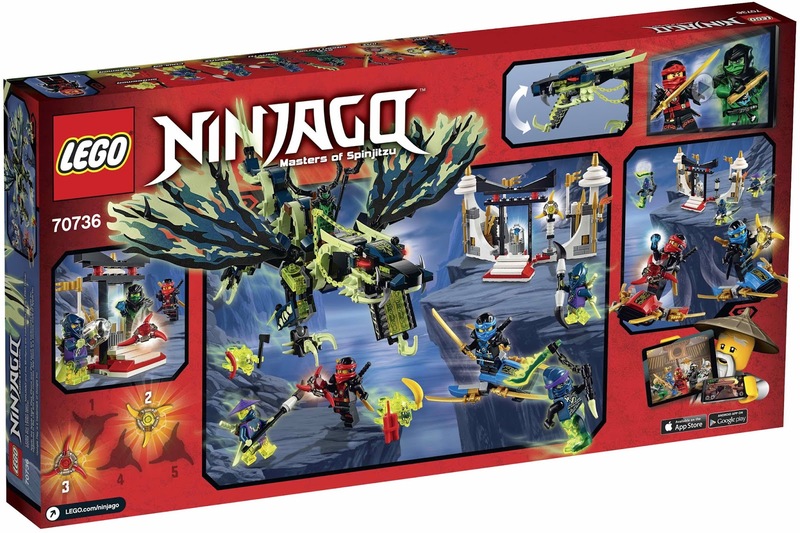 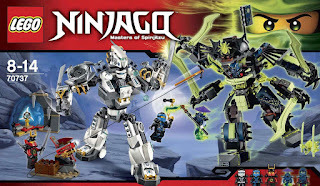 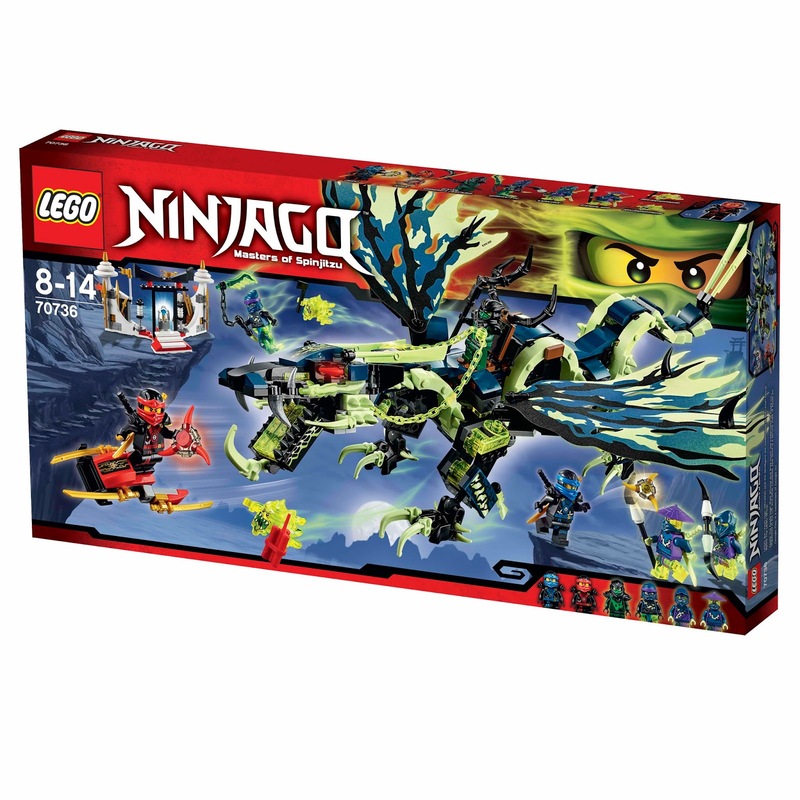 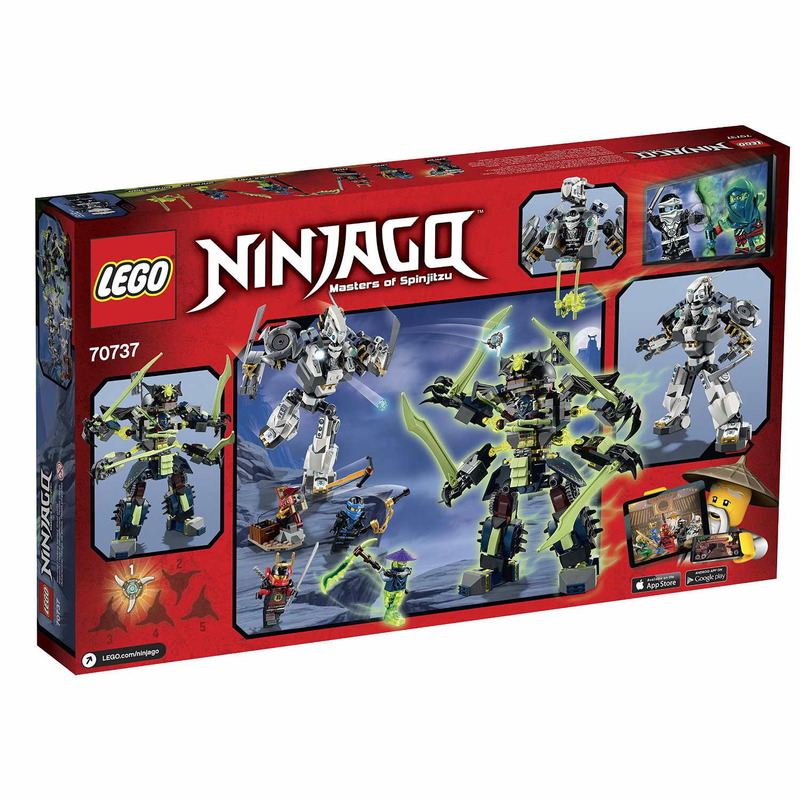 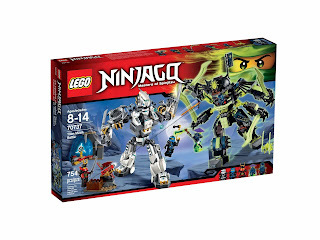 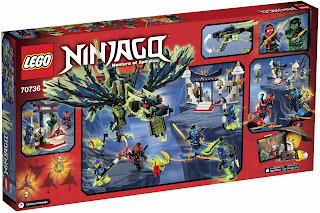 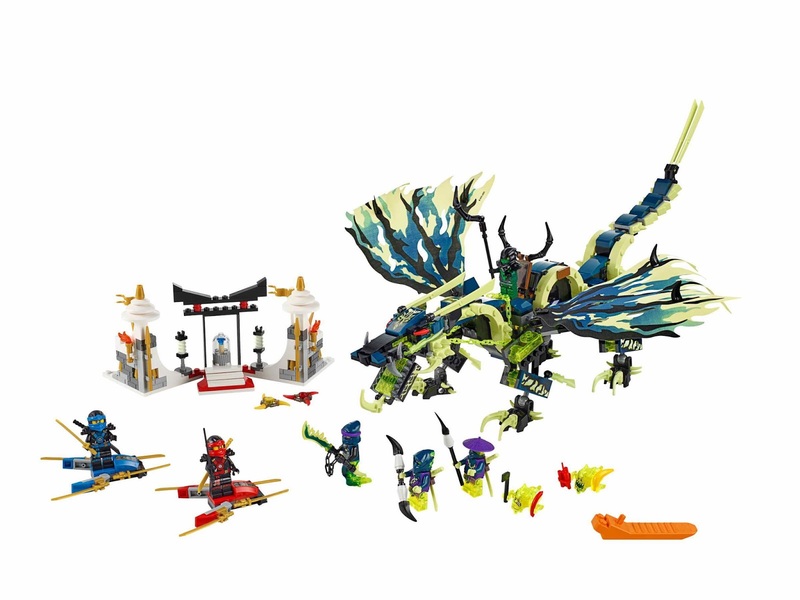 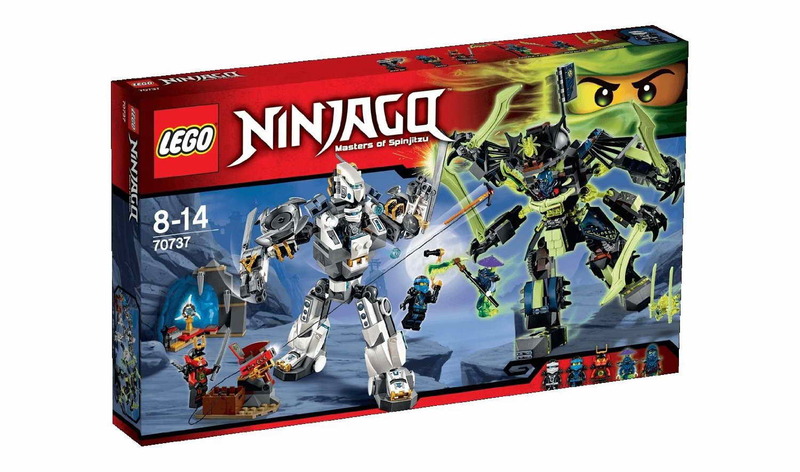 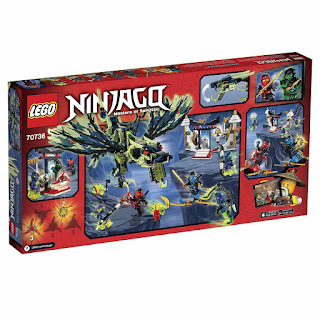 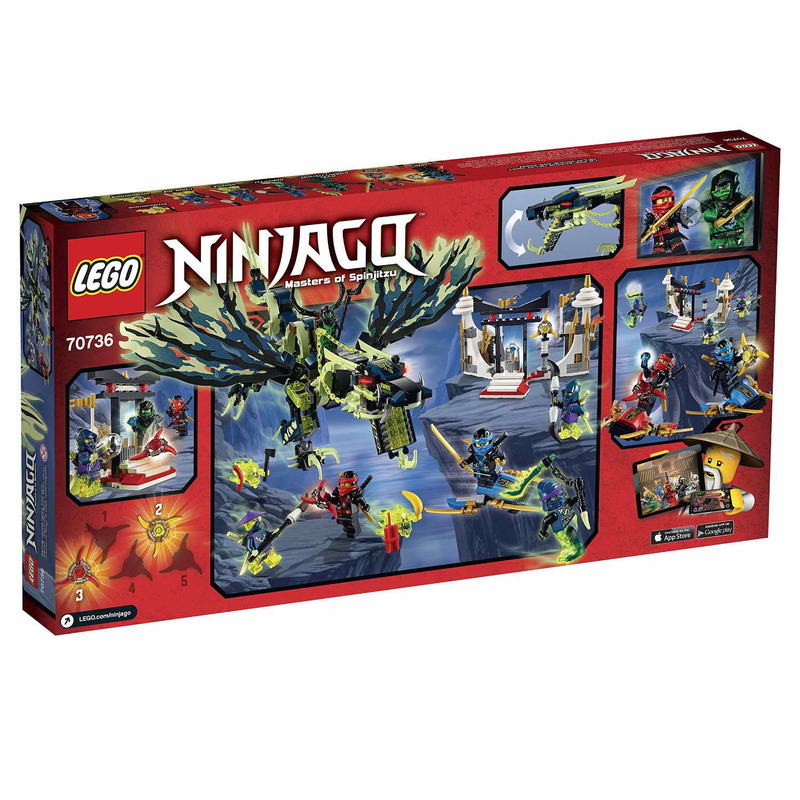 minifigs included a zane minifig, a jay minifig, a nya minifig, a scythe master ghoultar minifig and a blade master bansha minifig.